Nautical Nellies, a photo by Gexydaf on Flickr. Two sweet words… spring… break. And time to go a little further afield. 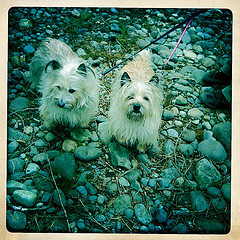 Today we hopped in the car and drove up I5 into Canada. Then we took the Spirit of British Columbia Ferry and over to Victoria. Our delicious halibut and chips dinner was at Nautical Nellies. Dear daughter and I shared a meal and a dessert and it was more than enough. 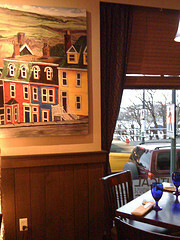 This entry was posted in Canada, Restaurants, Sit Down Establishments and tagged Canada, Nautical Nellies, restaurant, seafood, Victoria on March 29, 2011 by admin. 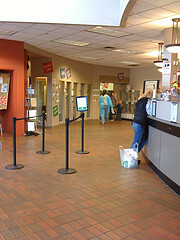 Note, the AAA Tacoma office looks nicer than this lackluster photo!. 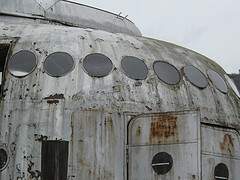 This entry was posted in Tacoma, WA State - Pierce County and tagged AAA, Tacoma, travel on March 28, 2011 by admin. Kalakala, a photo by Gexydaf on Flickr. The newspaper yesterday talked about how the Kalakala was in danger of sinking because it is taking on water. I had just asked my husband last week if the vintage ferry boat was still at the port. We had gone to see it years ago and hadn’t heard much about it since. I have no idea about the financial feasibility of restoring this ferry, which is in pretty bad shape, but I’ sure wish it could be brought back to its former glory. It was spectacular! I took a couple of shots from where it is docked and then went across the way to photograph it from across the Hylebos Waterway. For a photo of the Kalakala when it was in Tacoma in the 1940s, see this webpage from the Tacoma Public Library. 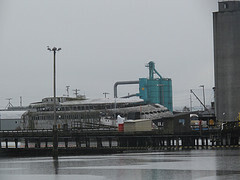 This entry was posted in Historic Sites, Museums, Non Profits, Tacoma, Their future is in question, WA State - Pierce County and tagged art deco, ferry, Hylebos, Kalakala, Port of Tacoma, sinking vintage, Waterway on March 27, 2011 by admin. The Kiss, a photo by Gexydaf on Flickr. After a quick lunch today in Olympia, I forced everybody to wait for me while I ran over to snap this photo! The concrete statue is called The Kiss and it is by Richard S. Beyer. The statue is located in Percival Landing. This entry was posted in Art -- there is art here!, Olympia, WA State - Thurston County and tagged concrete, Landing, Olympia, sculpture, The Kiss on March 26, 2011 by admin. 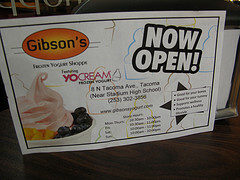 Gibson’s Frozen Yogert, a photo by Gexydaf on Flickr. 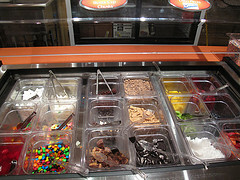 Gibson’s Frozen Yogurt opened on Valentine’s Day 2011 in the Stadium District and tonight after dinner we went there to celebrate the beginning of Spring Break. It was fun and delicious and not very expensive, so what more could we want? Dear daughter and I sampled almost all of the flavors before going with the French Vanilla, Chocolate and Cookies & Cream. Then we added Hot Carmel, Hot Fudge, Strawberries, Maraschino Cherries, Gummy Bears, M&Ms, Walnuts, Whipped Cream and Rainbow Sprinkles (not all items were on both servings!). Then we sat down to eat some serious tastiness. The place wasn’t very crowded when we got there, but by the time we left, it was packed. And both the employees and the customers seemed to really be enjoying themselves. I was glad to see the crowd in hopes that Gibson’s Yogurt is here to stay! UpdateL 6.16 Sadly Gibson’s was not here to stay. The store closed earlier this year. 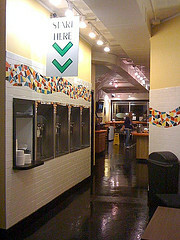 This entry was posted in Coffee Shops, cafes and bistros, Restaurants, Tacoma, Their future is in question, WA State - Pierce County and tagged Gibson's Frozen Yogurt, Gummy Bears, Hot Carmel, Hot Fudge, M&Ms, Maraschino Cherries, Stadium District, Strawberries, Tacoma, Walnuts, Whipped Cream. Rainbow Sprinkles on March 25, 2011 by admin. SAMI is a Tacoma Public School located in the lovely Point Defiance Park. 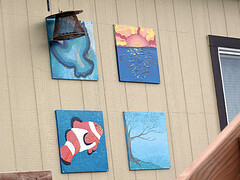 The facility itself isn’t much to speak off, though there are some nice artistic touches. SAMI’s website says “The Science and Math Institute creates an inclusive high school learning community that provides integrated, inquiry-based experiences utilizing our natural and community resources, combining science, mathematics, and the arts. This entry was posted in Schools, Tacoma, WA State - Pierce County and tagged Point Defiance, Pt. Defiance, school, School of the Arts, SOTA, Tacoma on March 24, 2011 by admin. 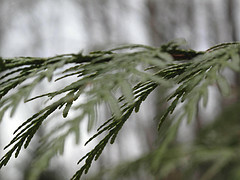 , a photo by Gexydaf on Flickr. Today’s new place is the Starbucks at the corner of Sixth and Pine (601 Pine Street, Tacoma). It looked much like all the other Starbucks, warm and comfortable. The service was friendly and fast and the coffee especially good for some reason. The breakfast roll was warmed and very delicious. There is a reason that Starbucks has a following. Update 2/2015 This location has closed, which surprises me since it was always busy when I went. This entry was posted in Coffee Shops, cafes and bistros, Tacoma, Their future is in question, WA State - Pierce County and tagged breakfast bun, coffee, Pine, Sixth Avenue, Starbucks on March 23, 2011 by admin. Need a bunny? 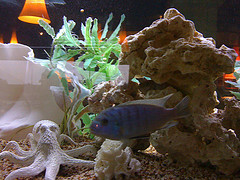 Go t othe Humane Society a photo by Gexydaf on Flickr. A darling little pup was wandering near a busy street and my husband took him home for safe keeping for the night. The dog was obviously somebody’s loved pet, but I didn’t find any signs or see anybody looking. So today I took him to the Tacoma Pierce Co. Humane Society, so that he can be reunited with his rightful owner. Note, although I took a photo of a darling rabbit, it is only a good pet if you are ready for the responsibility. If you’re not ready for bunny ownership, then buy a delicious chocolate rabbit for Easter! This entry was posted in Non Profits, Tacoma, WA State - Pierce County and tagged bunny, chocholate, dog, ownership, Pet, pup, rabbit, Tacoma Pierce County Humane Society on March 22, 2011 by admin. 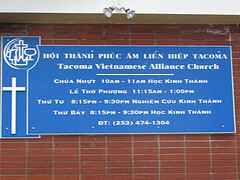 Tacoma Vietnamese Alliance Church a photo by Gexydaf on Flickr. Today I made a quick stop at this interesting neighborhood church. The Lincoln District has an international flair, with an emphasis on Asian Countries. The informational sign is in both English and Vietnamese. 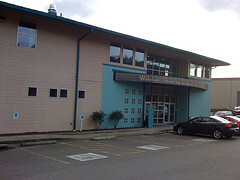 There are three other Alliance Churches in Tacoma. This entry was posted in Churches, Places of the Spirit, Tacoma, WA State - Pierce County and tagged Lincoln District, religion, Tacoma, Tacoma Vietnamese Alliance Church on March 21, 2011 by admin. Flaming Geiser a photo by Gexydaf on Flickr. 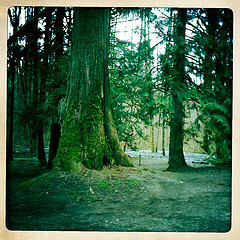 Today dear daughter, the two pups and I went to Flaming Geyser State Park in King County between Auburn and Black Diamond. This day use park has a couple of interesting features. * It has a geyser which releases a methane seep. With a lighter or matches, it can actually be lite and flames will come out for a couple of minutes. It’s kind of cool! * There is an open field for model airplane flying. 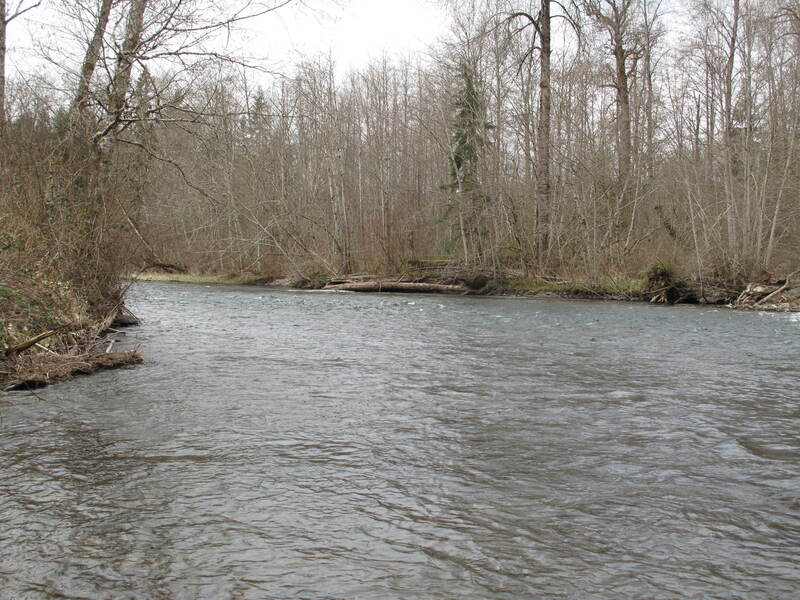 * There is over 3 miles of freshwater shoreline along the Green River. 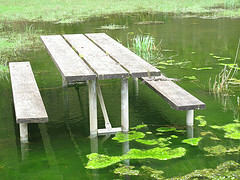 In the summer months, it is used for tubing and when we were there today there were kayakers. 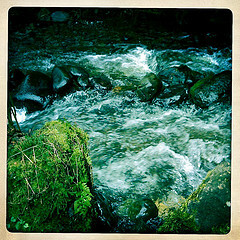 This entry was posted in Black Diamond, Parks, WA State - King County and tagged Auburn, Black Diamond, Coal, fire methane seep, Flaming Geyser, flying, Green River, kayak, model airplane, tubing, WA, WA State - King County on March 20, 2011 by admin.